WhatsApp has more than 1 billion people who actively exchange messages on a daily basis. The platform has been busy with updating the app with end-to-end encryption protocols to ensure that chats remain completely private to those directly involved. While this is a cool move that will probably attract more people to join the platform, the Facebook-owned chat app wants more than just this. In fact, the company’s latest planned addition is aiming at completely killing telcos and your voice calling app. 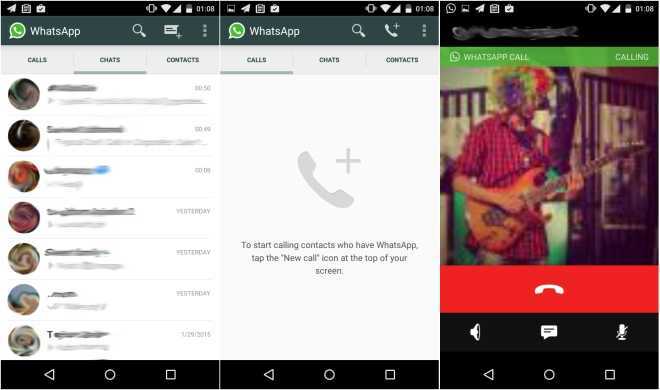 It has been a while since WhatsApp started allowing its users to make free voice calls over the internet. Even though the app wasn’t the first to offer such a service, the user base commanded by this app is something that should scare any telecom service provider. Now that Facebook is planning to add voicemail and call back features to this app, it will only make it harder for telcos to get back what was once theirs – the voice calling services. Leaked photos have shown that these two features are apparently in the making, but the same cannot be found on the stable version available via the official Google Play Store. With the rumored voicemail feature, WhatsApp users will now be able to record voicemail messages just in case the recipient of a call isn’t there to answer your call. This is where it gets even more interesting. As opposed to traditional voice calling apps, the new WhatsApp voicemail feature will let you preview a recorded message before sending it to a friend. Nice move huh! Further reports also add that users of the chat app will be able to access a new call back button that will make it a lot easier for any of your contacts to get back to you as soon as possible. But the question here is who will prefer hitting the call back button rather than just send a message or maybe a voice message instantly? As far as WhatsApp is concerned, this is a feature that most, if not all, of its users, will find useful. Hopefully, it will find some use in your app, but until it is actually added to the stable version, take this story with a grain of salt.